For the artist, the present exhibition began as a meditation on time. 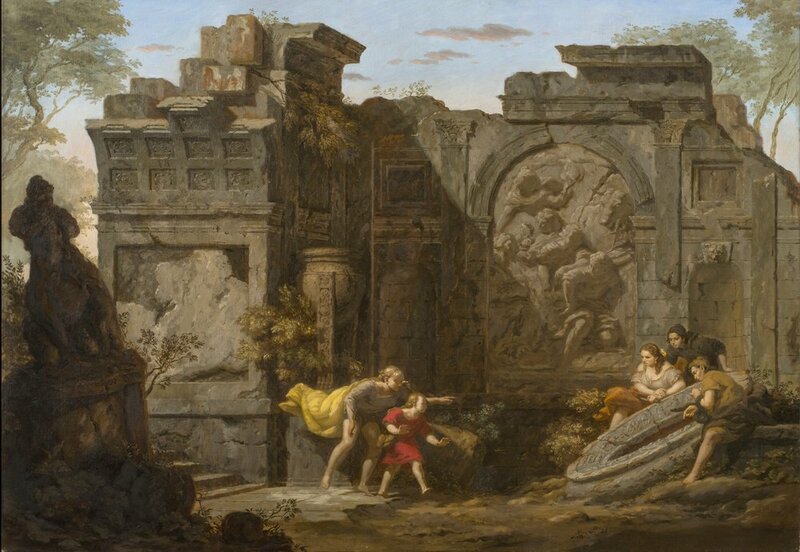 Months spent in Rome drew Baus into study of and contemplation on the Mithraic Mysteries, the cult religion practiced there from the 1st to the 4th centuries A.D. The characters that inform Mithraism provide the starting point for Baus’s rumination on thought and the position of man in the universe, expressed through symbolism both historical and fantastical. Anthony Baus (b. 1981) was born in Racine, Wisconsin and received a BFA from University of Wisconsin - Milwaukee before matriculating at the Grand Central Atelier, where he now teaches.